Bulldog Press is an independent publishing house and publishing service provider. We are currently not taking submissions for original work, however we do provide a number of publishing services for independent authors such as Book Formatting, eBook Conversion, Cover Design, Promotional Material Design, and Custom Author Website Creation. Additionally we have a number of free book formatting templates and tutorials in our, ever growing, Self-Publishing 101 section. These will help those that wish to attack the process on their own do so with the proper tools and knowledge to do it well. Pending Release – Join Ellison Frost for yet another adventure of murder, mayhem, death and debauchery. 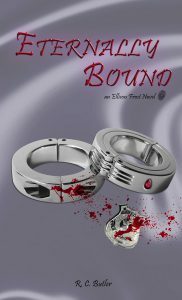 Don’t miss the upcoming third installment of R. C. Butler’s Ellison Frost – Bound series.